Humans In My House and the Animals Beyond It chapter two illustration. Illustrator Victoria Lyons, 2018. The third installment of the Humans In My House series is on its way! Look for a cover reveal Friday, June 15, 2018 and publication July 1, 2018 (Amazon Kindle and paperback). In Kepler’s newest adventure, he and Emily meet animals from around the world during a trip to the zoo. Find out what conservationists are doing to help keep Kepler’s animal family happy and healthy both within the zoo and in their natural habitats, and learn how you can be a conservationist right from home! Haven’t read the first two books in the series? Not to worry! Look for sales prices on books 1 and 2 during release, and get the whole series for a great deal! Look for complimentary kid’s book club discussion prompts, vocabulary lists, and reading comprehension lessons after release. Downloadable lessons and other materials for previous volumes are here. This morning I launched the new cover art for Acephalous Book 1 (below). I was motivated to re-brand the book with a new cover and summary blurb because sales have been less than stellar and because, sometimes, you just come up with better ideas after the fact. Sometimes it’s not even on purpose, like this one. It did nothing to indicate genre, subject-matter, or target audience. It was pretty. I liked it. When presented with the book, others liked it. But, it wasn’t a cover that grabbed anyone. Since I can’t put the book in people’s hands, strike up conversations about the book, tell them what it’s about all the time, the cover has to do that for me when away from events and speaking engagements. Aesthetics and marketability are not the same thing. Marketability goes beyond the general eye-pleasing look of a book and must tell something about its contents. “It’s pretty” isn’t enough. As a YA Urban Fantasy with metaphysical elements and a major, plot-changing power struggle, a line of trees on a snowy path wasn’t enough. That book could have been about anything and for readers of any age. It says nothing of genre, although it might say what genre it isn’t (like fantasy, which is bad because it is). Though the cover comes directly from a pivotal scene in the novel, no one knows that until after reading. This is backwards. The cover needs to divulge a bit about what’s inside rather than what’s inside explaining the choice of cover.Enter the bold new cover I created (image 1). The new art symbolizes parts of the plot in a more general way than the original, which was a verbatim scene. A scene is not a symbol. Symbols are immediately recognizable and have a connotation without further reading. Scenes have no meaning and give no messages to the audience until played out. Crowns indicate the power struggle, which is a relevant theme on a character-self level, character-character level, and character-world level, and they have a more fantasy-leaning connotation. The new art also has a handmade, artsy feel (because it is handmade) that appeals to me and others on an aesthetic and genre-consistent level. This makes it marketable–looks and function. Current trends in YA urban fantasy covers include dark color palettes, multiple textures/patterns, and either: bold, sans-serif text or wispy serif text verging on filigree. The wispy tends toward the more traditional realms of (high)fantasy, the “urban fantasy” approach meaning it is a modern-day setting in our real world, and the characters are less often fantastic creatures than real people with special traits/abilities. Many covers have people/faces on them (even before they’re turned into movies and re-covered with the actors), but that’s not my personal style. I like readers to envision the characters rather than be told who to see by the cover. Just look at a wall of new releases in the YA section of any book store. You’ll see these traits. Resist the urge to step out of the bounds of your genre to be different than that wall. It won’t necessarily pay off to not fit in. What started as the desire to not do what every other author/publisher is doing with their covers may end with confused readers. There are tropes and trends in marketing for a reason. Symbolism and connotation are deeply linked to language and social cues, and your book needs to look like it was placed on the correct shelf in the correct section of the store or people won’t take these cues to understanding. In addition to the new art, I also rewrote the back cover blurb. At events, people would read the old blurb, put the book back down, and say something like, “That sounds dark,” or, “That’s just a little too heavy for me/my daughter/my students, etc.” The blurb was killing my sales. While there are many dark moments in the book, it is no darker than any other teen drama or fantasy, and I need people to know that. There are always elements of peril, loss, and hopelessness in a plot structured to show how and when a character is finally smacked by reality. I needed my new blurb to convey that there are high stakes and dark moments, but that they are vital to character and plot development, which must start at low-points in order to show realistic growth through a plot (especially with books in a series). The new blurb is shorter, equally telling, yet infuses a hint of hope to soften the darkness. To reflect the new cover and blurb, I switched up some of my keywords on sales platforms. Poor sales sometimes have more to do with putting the book on the wrong shelf (even the digital “shelves” and categories used by Amazon and others) than with the book itself. For me, it’s not that people were buying the book, reading it, and disliking it. It’s not the writing. People weren’t buying it in the first place. A reason for this might include lack of visibility, especially for online markets where there is so much competition. The book has to appear to the right people at the right time. Search terms/key words and category matter immensely, and having these set to target the right shoppers helps online stores continue targeting correctly. The more imprints (that’s the people who see the book for sale either by ad or search) that turn to sales, the better the store algorithms learn to keep showing the book to other shoppers like the ones who purchased. Essentially, your book has to be on the right shelf and look like it’s on the right shelf. Since this new cover has just launched, I have no proof that my efforts work on this book, but I have high suspicions they will. These changes will compound as books two and three in the series are released, as the more books you publish, the easier you are to find. And now, I have a definite style and image theme to work from when creating those series covers. Expect to see the dictionary page plus crown silhouette continue, re-styled, in later volumes. Don’t be afraid to let go of what isn’t working just because it took a lot of time to create. If you put that much work into the original, you told yourself it was worth it. If it isn’t selling in that state and you’re unwilling to change it, what are you saying about that piece of work? That it was only worth one attempt? It may feel for a while like the first attempt (or however many) was a waste of time if it has come down to a re-do, but I think it’s a much larger waste of time to let something that isn’t working linger with no results when the addition of a little more work could reap huge dividends. And yes, it is about the money. Hopefully I’ll be able to update this post in a year with clear results that prove the experts were right and that my changes worked. I’ll keep adjusting until they do. It’s worth the extra time to me. The first try wasn’t a waste. Failed first attempts only remain failures if nothing is done to resolve the issue. Once there’s a success, that “failed first attempt” becomes a special edition, a limited run, a rare collector’s piece. And those are usually worth more to fans and readers anyway. I fully acknowledge the validity of quitting while ahead, cutting your losses, and prioritizing by cost-benefit analysis. I said it was about the money, and the above are cost-related decisions. I respect every author’s decision to forge ahead with multiple attempts or to say, “That really was a failure. I’m done.” The threshold for if and when these decisions are made is different for all authors. For every project and timeline, there is a point that, when reached, makes it impossible to ever, in a lifetime, make enough money on it to pay back the effort involved, much less turn a profit. My stance in this article is based on my threshold for this project. I haven’t met that threshold yet. These new paperback covers are available only on Amazon. Ebooks now have this cover on all available platforms (Kindle, Smashwords, iBooks, and Kobo). Love the old cover? My remaining stock, both Advance Reading Copies and Final Publications, are now event exclusives. Visit one of my events for a special signed copy. Less than 300 ever made. Breena wishes she was someone else and uses her dreams to escape. When a dream-figure presents the opportunity to transform, she seizes it. But, the learning curve to her new identity is steep and painfully loses its charm. Her teacher’s plan is chaos, and it’s spreading. Bree wants to do the right thing, but when she finally steps up, it’s too late, and she must sacrifice a part of herself to survive. For the How & Why of the new cover, read on. An adorable sequel, our cat friend from the first book gets a name from Emily. She names him Kepler and attempts to explain why. Kepler, Emily and one of her friends then go outside to watch a meteor shower. The dream sequence Kepler has is fun while also being highly informative. It was a widely interesting way to teach the kids I read to about the universe around us. I adore these books and hope to see more of Kepler, Emily and friends in the future. A charming book for the youthful reader, or those young at heart. I not only enjoyed this book but so did the group of kids I read it to at school. Quirky and fun, it’s one of the few books I’ve ever read that was from the point of view of a stray cat living in an abandoned home. I love that it’s first person and really feels like how a cat might think. It also helps show a unique twist on the psychological makeup of children and what they deal with such as peer pressure, without being too heavy. 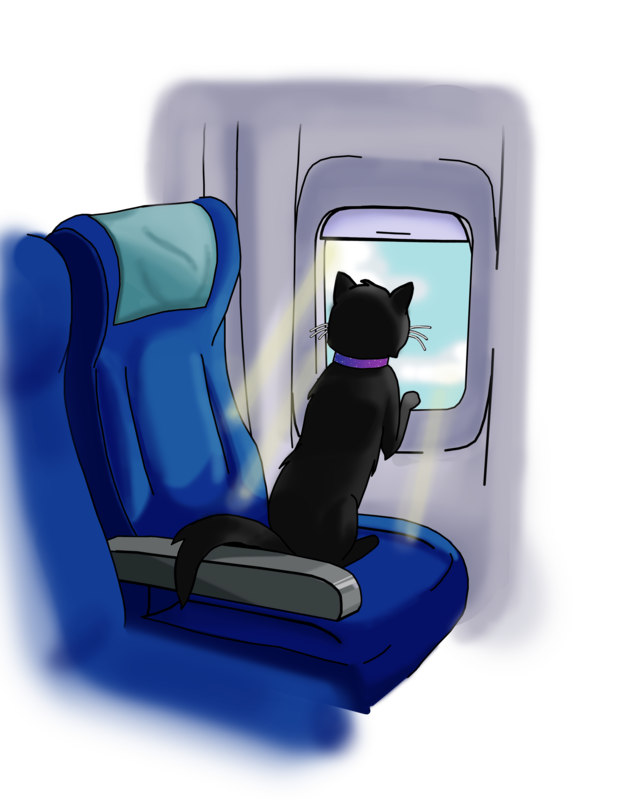 I can’t wait to read the second book and see what happens next with the cat and the humans…..
Shay: Amanda, thank you for being with us today. I know you met Corry and Lia at Authors Invade Columbia. So it’s been a few months and I know you’ve been busy; especially with the newest kids book you’re getting ready to release soon. We are so excited you were able stop in on the blog today. Amanda: I’m glad to be here. It was nice to meet your team and they kindly invited me to stop in. I can’t wait to have your readers learn more. TA: So we met you at an author event…logically we can start with: what was the first thing you say you wrote as an author? AM: I was prolific as a child and teen. I was always a writer, and it would be hard to say which piece was my first. But the first time I wrote something that made me feel like an author, like a professional, was the publication of my first novel Humans In My House, which started out as my master’s thesis. This book wasn’t my first work published. There were freelance editorials, poetry, and short stories in web journals here and there. But, there was a distinct feeling of legitimacy that came with a book–something I might see on a store shelf that was mine from cover to cover. TA: I read your Humans In My House to a third grade class and they asked the book. It may have been their favorite read I’ve done this year….Who are some of your favorite books and authors? Both now and for youthful readers. TA: Wow, you are really well read. I know many use reading to escape from work (or chores) Was there another field of work you saw yourself doing, other than writing? AM: More like there were many fields of work I distinctly saw myself not doing. Writing was it. It was my sole purpose in the educational choices I made and how I spent my creative free time. I dabbled with ideas like international relations and translation as options that would incorporate language and writing with other interests, and I have varied subjects of interest outside of writing, but they were never viable career considerations. So, when I’m not writing, and to finance the novels, I teach composition at the college level, and I own Red Ink Enthusiast, a writing services company. Whether it’s my own text or someone else’s, it’s all writing all the time. TA: That kind of determination and love is inspiring. Who is your biggest inspiration? AM: The indie and self-published community as a whole inspires me to keep plugging away at my dream. To see authors like me become best sellers, some even multiple times, to see them get movie adaptations of their books, win awards, etc. is proof that there is just as much legitimacy in non-traditional publishing routes as any American Classic or traditionally published new release has. TA: After that quick break to stretch our legs and grab fresh bottled water, let’s get back into this. Let’s start this part with getting to know more about you as a person…What is your favorite food and beverage? AM: I love sushi and will never turn down an opportunity to have it. I drink mostly water, and tea and coffee (decaf only, sue me) if I want something with flavor. TA: Shay is a big tea drinker. She says one of her favorite guilty pleasures is hot tea, Danish butter cookies and a good book to end her day. What guilty pleasure or quirky ritual do you have to have while you are writing? AM: I guess I’m boring in this respect. I don’t do anything special or odd. At least, it’s not odd to me. I will write anytime, anywhere if there is something I need to get accomplished. I’m great at tuning out the world around me, so I don’t have a writing soundtrack or anything like that. Typically, it’s me, a laptop or notebook, and a cat or five on the couch around me. Netflix is usually on in the background, but I don’t pay it much mind. Coffee, tea, and chocolate seem too typical a guilty pleasure to consider as quirky and, well, I don’t feel guilty about those treats at all. TA: You mentioned sitting on the sofa with the cats. What is your favorite place and time to write? AM: I prefer to start writing first thing after waking up and to go straight through until my goal for the day is met. Typically, this happens on the couch. However, I found during a recent trip to San Diego that I am especially productive in airports and on planes, writing by hand because a notebook is much easier to travel with than a laptop. When writing by hand, there’s no constant word count reminder. It feels like I don’t write as quickly as I could in type, so I keep writing. By the end, I’ve written more in one sitting than I would have on a computer. Any instance where I’m unexpectedly productive is a favorite. TA: I hear you on how great it feels to be more productive than expected. I noticed that when I’m busy doing stuff is when i get some of my brightest ideas but by the time i get to paper, they’re gone. What is the oddest place or time that a book idea has come to you and you just had to stop and write it down? AM: Most ideas come as I’m trying to go to bed, but I think that’s pretty normal for creatives. I use a memo app to keep track of ideas that come while I’m out and about. I’ll stop in the middle of the grocery store or during a hike if I have to. TA: Hiking? That’s an interesting activity, i know some do it for fitness while others like the quiet communion with nature that’s possible during a hike. What do you like to do to relax? AM: Hiking might not sound relaxing to some, though it sounds like you understand. I do love a physical challenge and enjoy routes that require mountain scrambling. I feel most at ease in the middle of the woods with a pack on my back. And, of course, if I’m just going to sit around, I like to read.